As the name “assisted” suggests a good helper, similarly the assisted opening tactical knives are specially designed to serve as a helping tool. Such tools use internal mechanism while opening like when the user partially opens the blade of the knife then automatically it gets fully opened with a strike. Assisted opening knives are good to have because they are easy to open hence providing quick service than any other knife in terms of opening. Along with this when you get an extra feature as folding then I am sure you just can’t deny it to own. · Opening/Closing Speed: - Because such knives can be open much faster than other mutual blade knives. So the opening and closing speed of such knives is good. · Easy to carry: - They are one kind of folding knives hence they are easy to carry in pockets provided taking some handling precautions. Most assisted openers use flippers as their opening mechanism. Assisted opening knives can be as fast as or faster than automatic knives to deploy. · Illegal: - This term is not applicable to all countries like US, UK, AUS but still few have issues with carrying them so restricted. · Easily break: - Since the blade opens with a strike so there is a chance of easy breaking of blade so we can say they are sensitive. · More Cautious: - You have to be more cautious while carrying them in your pockets because poor handling may cause punctured clothes or skin thereby leading to bleeds and leaks. · No control: - Sometimes it is good to have manual folders because then you can have control in their opening and closing speed. Opening a knife with loud snap is scary at times. Some people often gets confused in between spring assisted pocket knives and switchblades but the point is assisted knives are perfectly legal and switchblades are prohibited. 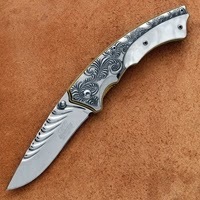 Even though assisted knives are illegal but still you cannot carry them into those areas where knives usage is prohibited like courthouses, federal buildings, schools and airports. 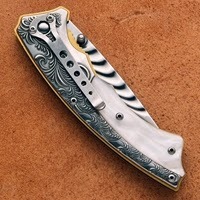 Thanks for the blog.Here we can find the wide verities of switchblade knives.